Every time you hear a loudspeaker, you're hearing both the direct sound from the speaker, and reflections from the speaker's signal bouncing off of objects in the room. When done very well, the stereo image will be three-dimensional, representing a sound stage that is wider, deeper, and taller than the speakers themselves. This gives you a very high degree of confidence in your mix. It allows you to mix faster, and produce better mixes overall. A standard port tube: air leaving the port tube at different velocities creates noisy turbulence. The port tube on Project Lone Pine studio monitors: all the air leaves the port at the same velocity for clean, powerful bass. On most port tubes, air leaves at different speeds from different points of the opening, creating noisy turbulence. This turbulence can be heard as "chuffing," or an audible air sound coming from the monitor. This sound will add to the noise floor and obscure the details of the low end. The port tube on LP-6 was designed to ensure that all of the air leaves the port tube at the same velocity. This helps add to the low end response of the speaker, while keeping the bass clean, tight, and devoid of extra noise. *Measured at 8 meters and .4 Vrms and normalized to .4 Vrms/1 meter. Measured in a hemi-anechoic environment by Pro Sound Testing. The LP-Series monitors are very accurate throughout their frequency response. The measurements you see were conducted by Pro Sound Testing in Greenville, IN. Please find a link to their complete dataset, to be viewed with CLF Viewer, at the link below. 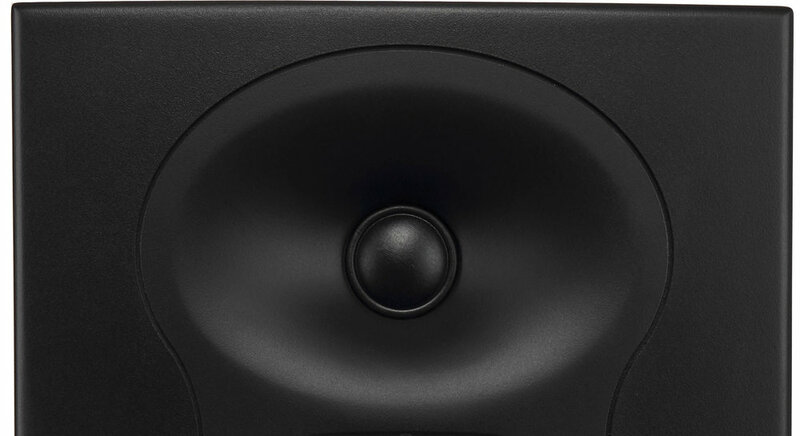 The LP-6 has the lowest distortion in its class; a full 6 dB lower than its nearest competitor. This is achieved via design considerations that optimize woofer performance. Like our frequency response data, this data was collected by Pro Sound Testing in Greenville, IN.